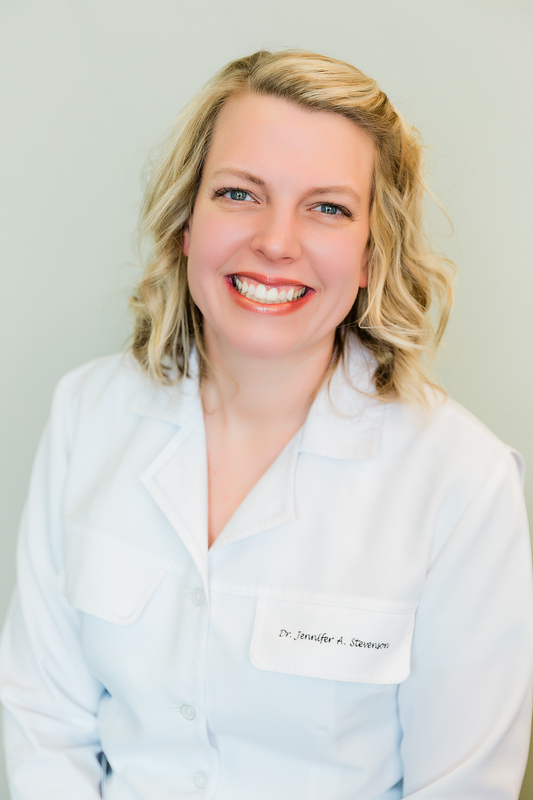 Dr. Jennifer A. Stevenson graduated from the University of Iowa, College of Dentistry in 2007. She is a member of the American Dental Association, the Iowa Dental Association, and the Academy of General Dentistry. Dr. Stevenson has served the community by practicing at People’s Community Health Clinic in Waterloo and at Heritage Dental in Waverly. Dr. Stevenson enjoys trying new recipes, making photo books on Shutterfly, and hanging out with her family. Dr. Stevenson and her husband, John, are avid fans of Iowa Hawkeye football and attempt to attend a few football games each fall. In March 2013 the Stevenson family welcomed their first child, Samuel and in March 2015 they welcomed their second child, Molly. Dr. Stevenson also has a dog, Carver, who enjoys tagging along when everyone is out for a walk.